Robert A. Glass, 90, of Jamestown passed away Sunday January 20, 2019 at Hospice of Dayton. He was born May 17, 1928 to Earl Glass and Cleo (Wilson) Glass. 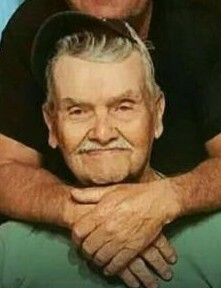 He was an avid life time farmer and he loved his family. Robert is survived by his wife of 67 years, Dorothy I. (Suttles) Glass; son Toby Glass of Jamestown and daughter Bobbie (Darrell) Shackleford of Xenia. He is also survived by his grandchildren: Bill Atley; Angie (Alex) Hilderbran; Robert (Sarah) Glass; Nichole (Lon) Etchison. He is also survived by several great grandchildren and great-great grandchildren. Robert was preceded in death by his parents, Earl and Cleo Glass. Private graveside services will be held at the convenience of the family.